What if your belt were made of tea? An odd question, to be sure, but one worth asking since more and more customers are seeking vegan and sustainable products. 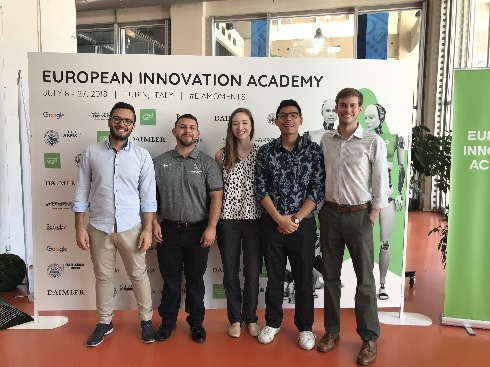 When BHS alum Shaylin Post traveled to Italy this summer to participate in the European Innovation Academy, her team developed leather made from kombucha tea and it earned them a spot as one of the top teams at the event. The European Innovation Academy is a startup accelerator where students majoring in business, software development, marketing, design, science and other majors were challenged with generating ideas for products, apps, or online digital platforms. Over 500 people with 85 different nationalities participated in the event and were divided into teams of five. When Post’s professor at Shepherd University mentioned the program, she was very eager to participate. 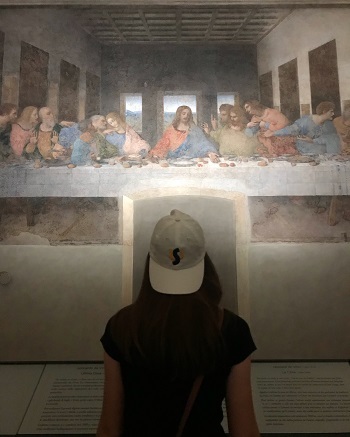 With the help of her supportive family and the faculty at Shepherd, she had the opportunity to spend three weeks in Italy learning how to get a product from idea to market. Throughout the academy, participants had keynote speakers who represented successful founders and investors of startup companies from around the world. They attended team mentoring meetings and worked individually to build their companies from concept to launch. According to Post, students from all different levels of education worked together as equals and pooled their talents and resources to create the product ideas. The diversity represented allowed the groups to capitalize on each members’ strengths and taught them to not only execute and idea, but to work together seamlessly while they did it. After the academy finished, Post traveled throughout Italy to Rome, Milan, and Genoa. Her favorite spot, however, was Turin, the hometown of one of her teammates. Post is now back in the states beginning her third year as an Environmental Engineering Science major at Shepherd University.